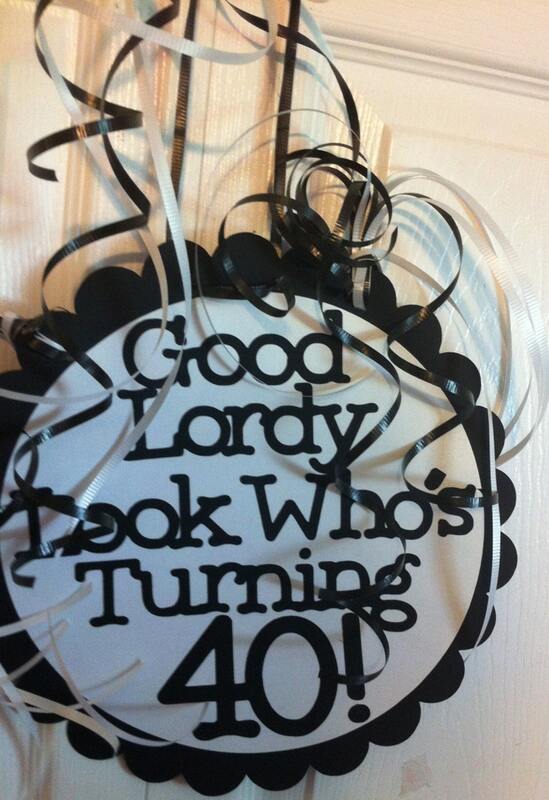 Good Lordy Look Who Is 40 Fun party sign! These are so much fun and the best part is they can be handcrafted in the color theme to match the style of your party theme. Have a different special saying? Need to point people in the right direction? No Problem ! We can handcraft a large and super fun Party Sign just for your special celebration. This sign is single sided and is Approx 11" in diameter. Pricing is per sign. Create your own fun with any small Saying of your Choice or check out some of ours. These can be put together with colors of your choice to celebrate a Big Birthday or Anniversary. Black colors for Over the Hill or silver and gold for that special anniversary this fun party treasure helps set your stage. Check our our other fun items in the Pops and Party Section in our Etsy store for more fun ideas. Have an idea on something you don't see, just convo with us and perhaps we can help. We Love custom orders. Thank you for browsing with us.